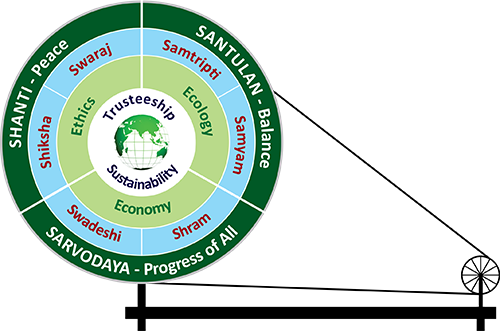 The Institute is organizing its Third Foundation Day Symposium on ‘Gandhian Pathways towards Sustainability’ at A N Sinha Institute of Social Studies, Patna, Bihar India during 13-14 February 2017. 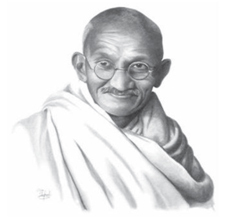 The first Satyagraha movements inspired by Mahatma Gandhi occurred in Champaran district of Bihar during 1917, and in Ahmedabad and the Kheda districts of Gujarat during 1918. These movements not only heralded, but laid the foundation for later movements like country-wide Satyagraha against the Rowlatt Act during 1919; non-violent non-co-operation movement for Swaraj and Gandhiji's seven point programme, Hindu-Muslim unity, removal of untouchability by surrendering titles and honorary posts awarded by the Government, boycotting Government schools, colleges, courts, and legislatures, by starting national schools and by using Khadi during 1920. The third DMI Foundation Day Symposium is being organised in commemoration of the centenary year of Champaran Satyagraha movement led by Mahatma Gandhi, and will seek to understand Gandhian vision and re-discover pathways towards sustainability. Participation is open to academics, scholars, policymakers, and practitioners. Interested persons are requested to send their professional profile (about 200 words) by e-mail at symposium@dmi.ac.in. MS-word; Margin on all sides - 2.5 cm; Font- Times New Roman; Font Size- 12;line Spacing- 1.5.